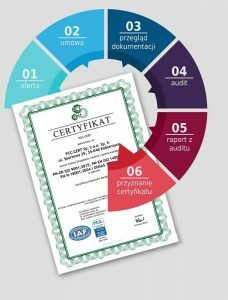 ﻿ ISO CERTIFICATION - MANAGEMENT SYSTEMS - Certyfikacja systemów zarządzania - PCC-Cert Sp. z o.o. Sp. K.
PCC-Cert certifies integrated management systems, which reduces costs. We also conduct certification transfers from other accredited certification bodies. The success of a company depends on many factors. One of them is most definitely comprehensive management, one remaining in accordance with the international ISO standards. More and more often organizations, wishing to strengthen their position in the market, decide on the implementation and certification of new management systems. system certificates to reach over half a million. The trend remains continously upward. ✓ a bigger chance of being chosen during tenders, of concluding contracts, etc. Organizations with standardized management systems, validated by accredited certification bodies like PCC-Cert, are more efficient, more profitable and more attractive to both current and future customers. There are typically three stages of acquiring a certificate, beginning with us presenting the certification offer and both involved parties concluding the contract, through a documentation review and an audit of the reviewed company, to finally conclude with the issuing of the certificate. 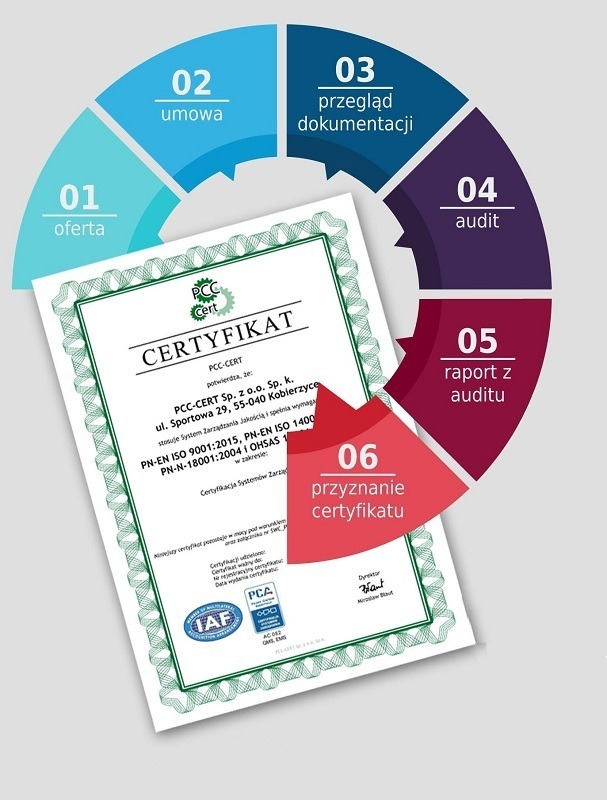 To sustain the validity of the certificate it is necessary to perform a surveillance audit once per year, and after three years a recertification audit takes place. Thanks to this system the continuity of the certification is preserved.